Mud mixer is a separate equipment for drilling mud mixing on oil & gas drilling, coal bed methan drilling, horizontal directional drilling, water well drilling or other kind of drilling which need drilling mud. The mud mixer including a set of centrifugal pump, a venture mud hopper, pipeline arrangement with butterfly valves and a working skid. AIPU Solids Control build different sizes of mixer to suit different mud flow mixing capacity. 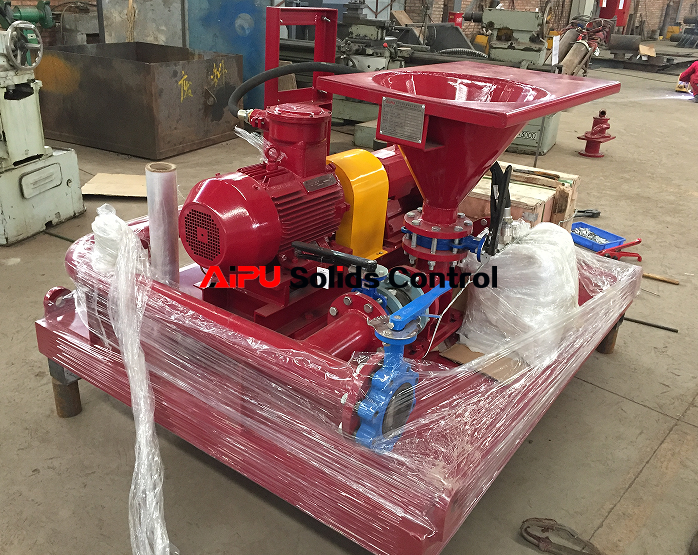 Mud mixing hopper is venture principle with 4 inch or 6 inch inlet and outlet. A butterfly valve connect mixing hopper and venture T connection. There is a small table on hopper to make a small work platform for mud chemicals. There is one set of butterfly valve each end of venture inlet and outlet for control. 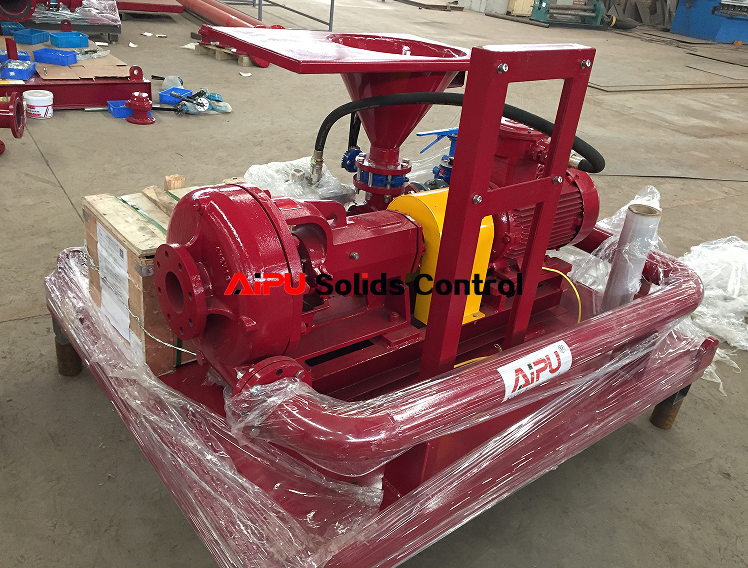 Centrifugal pump is made to supply drilling mud or water supply for mud mixing. The pump size selection is depending on mud mixing capacity by selecting different size of electrical motor and centrifugal pump. The pump is mechanical seal for better seal and longer performance. There is a arrow to show correct impeller rotating direction. It is screw type connection between impeller and pump hosing, wrong rating direction may damage pump. So correct impeller rotation is important to confirm pump working performance and working life. Pipeline arrangement is made by different size of pipe casing, flange connection and butterfly valves. 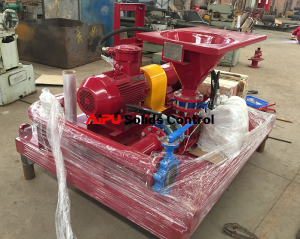 It connect centrifugal pump with mixing hopper. The pump outlet connect with mixing hopper inlet with butterfly valve. The mixing hopper outlet installed with a set of butterfly valve for connection with mud storage tank.